Building an extension is a great way of adding extra space to your home without incurring the costs of moving house. There are some hurdles to overcome however, before you can start building. One of these is planning. 1. Do I need Planning Permission or can you extend my home within Permitted Development Rights? Permitted Development Rights allow householders to improve or extend their home without planning permission, subject to the planned development meeting certain criteria. 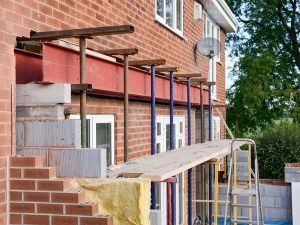 Permitted Development Rights have recently been significantly improved so that most home extensions now fall within them and do not require Planning Permission. 2. If I need Planning Permission how do I ensure that my application is successful? A planning consultant can check your plans at the outset and give you a heads up on any problems that may crop up. You can then rework the plans as needed. Or, if this is not possible, you can be prepared for the objections that may be raised and have well thought through answers available. A Planning Consultant can help you with this. At WPS Planning we offer affordable planning packages for homeowner extensions. WPS Planning have a strong track record of obtaining planning permission for extensions. We pride ourselves on our friendly, professional approach. Contact us now on 01403 295025 for a free initial chat.